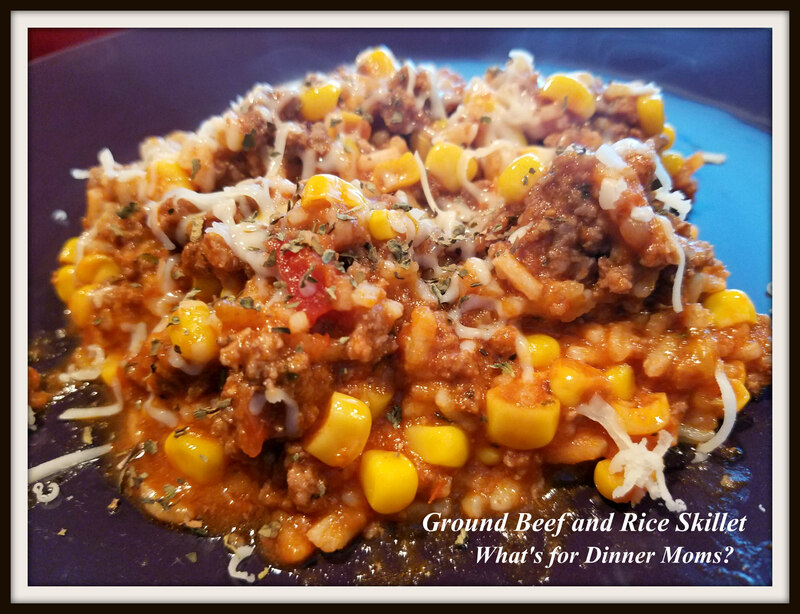 Ground Beef and Rice Skillet Dinner – What's for Dinner Moms? The other day we saw our first snow flakes fly. Parts of the area were without power for more than 24 hours as the storm blew through. We fortunately had power and were able to offer up our home for charging phones, showers, and a place to get and stay warm. I am grateful we had power. This is a super simple dish that can be made in about 30 minutes. Make it your own by adding your own choice of basil, garlic powder, and onion powder to the sauce to make this dish even more flavorful! I was worried about this dish because it was so simple – especially using jarred sauce AND instant rice. The meal came together in under 25 minutes. I added a green vegetable and a spinach side salad to complete the meal. We were sitting down to eat in under 30 minutes! Try this dish with Italian sausage (removed from casings) to make a slightly different dish with lots of flavor! A hearty simple meal that is on the table in under 30 minutes! Allow the mixture to simmer for about ten minutes and then stir in 2 cups of the shredded cheddar. Sprinkle the remaining 1/2 cup of cheese on top and don’t stir. Wow, snow?! Glad you were able to help others! Yes! The snow didn’t last long but we found out the rest of our street just got their power on yesterday after 4 days! WOW, four days!! I bet that took some creative thinking for some people to survive. It’s so scary how much we depend on outside factors to keep us comfortable. So nice that you offered help Marci!